Are you streaming rather than downloading? According to a report last year, on-demand services like Spotify and We7 were expected to generate £194m of revenue in the UK. 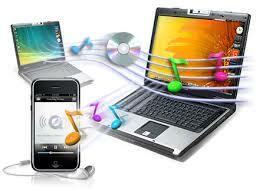 Streaming is fast catching up with downloading as a way to listen to music. In fact, it seems that even Steve Jobs had got it wrong and consumers would rather rent their music, not own it. On top of this, the death knell is also sounding for DVDs and even the cinema, as streaming takes over – if reports from PwC are to be believed. So, if you’ve got a house full of teenagers can your internet cope with their online demands? Although high-speed internet is becoming a reality in many areas of the country and the price is starting to become competitive, do our homes have enough bandwidth to cope with the demands of the digital lifestyle? The short answer is no. The current band is becoming increasingly crowded and even items sharing the band such as microwaves and electronic door bells are affecting Wi-Fi signals in the home. However, the new standard of Wi-Fi, Wireless AC, should make the effortless streaming of content at home a reality because, on top of using the current band (2.4GHz), it also uses the 5GHz spectrum which is much clearer – it has a similar effect to upgrading from a single lane A-road to a five lane motorway, less traffic and the possibility for higher speeds. The standard is expected to be widely in use by the end of 2013 and already, the latest devices being released, such as MacBooks and HTC Ones, have Wireless AC capabilities inbuilt. So, if you’re considering upgrading your router, make sure you future-proof your home and buy one that offers Wireless AC capabilities, to ensure you get the best coverage throughout your home, with the highest bandwidth and fastest speeds. This entry was posted in Consumer and tagged d-link router, Routers, Wireless AC, wireless ac router by D-Link UKI Blog. Bookmark the permalink.